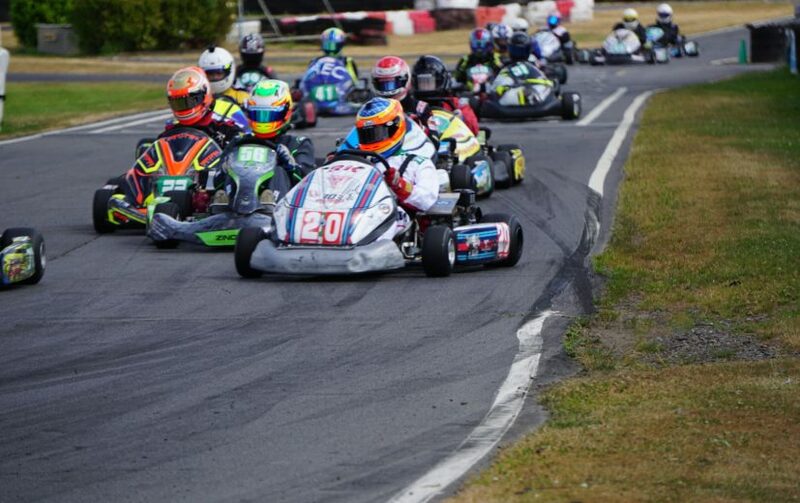 Round 5 was held on the first weekend of the month this year as a number of teams/drivers expressed interest on the Le Mans 24 Hour Kart Race. 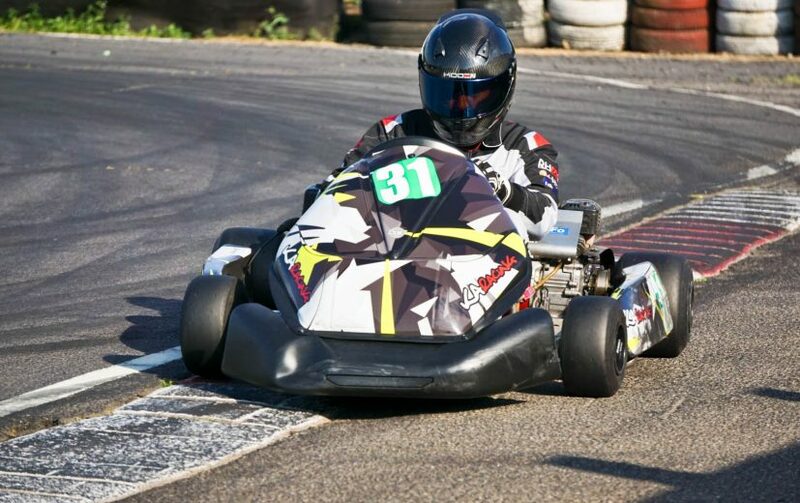 The month we welcomed a new team, S&S Racing headed up by Simon Lowther. 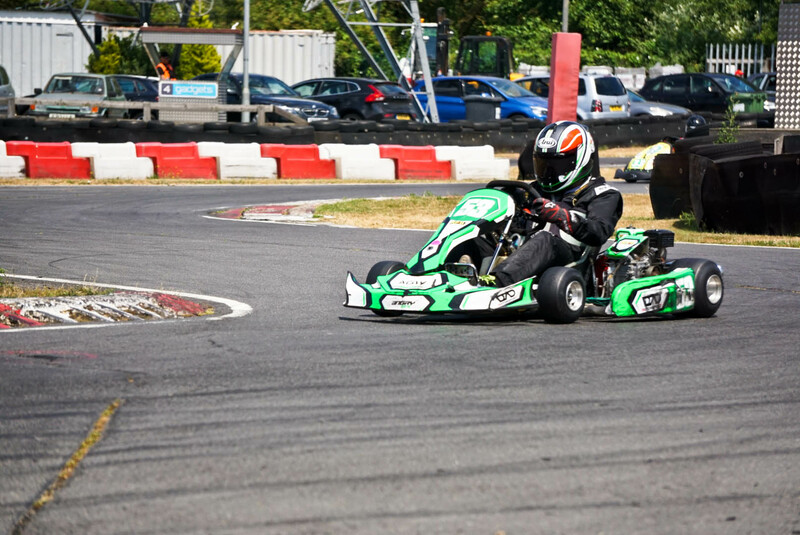 The team would take part in their first pro-kart race ever! They were in good company as always. 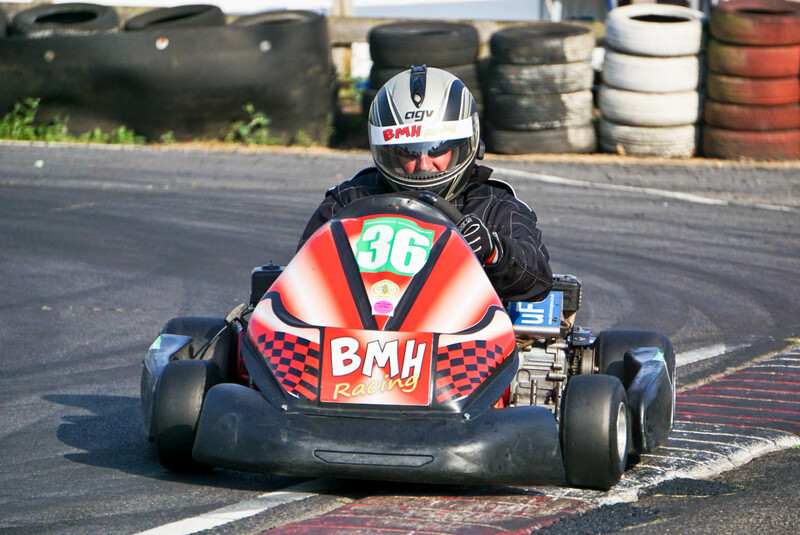 NMA Racing made a welcome return this month. Their last round being in October 2017. 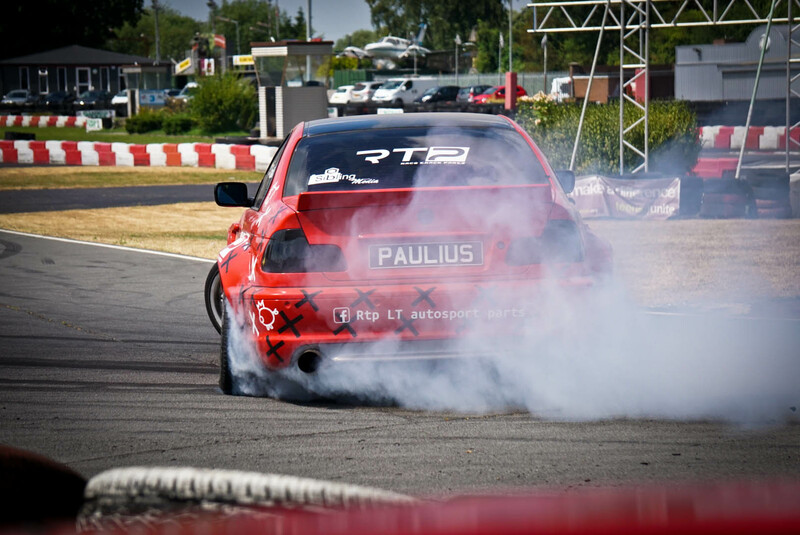 This months pace car was Paulius Cerneckis’s impressive BMW Drift Car. 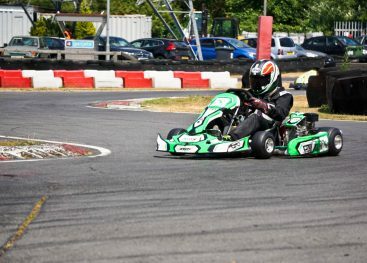 The car would take to the track providing our previous winners who were unable to ride in the passenger seat in the last couple of months. 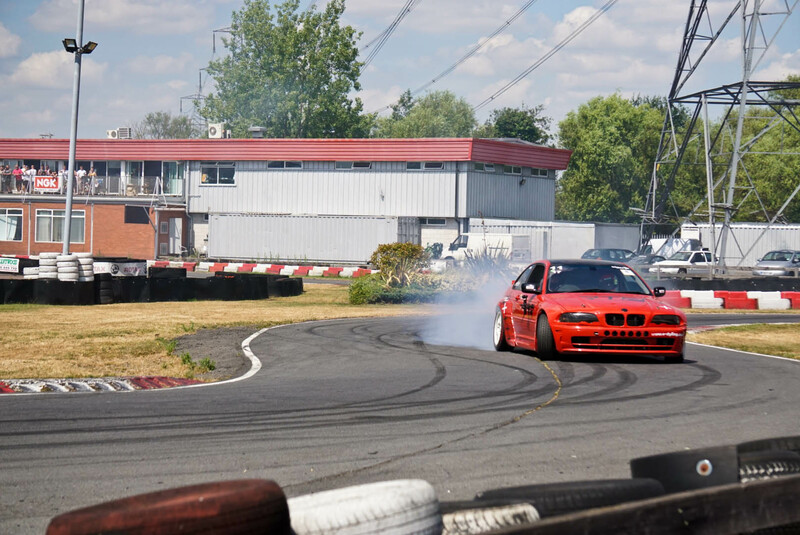 The car is a very unique Bmw e46 330ci 254bhp, pandem bodykit IRP lock kit. 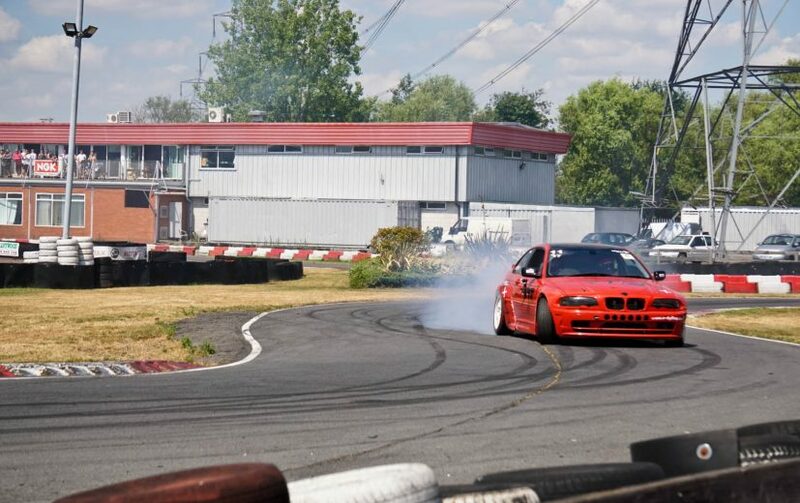 Driven by Paulius Cerneckis who has been drifting competition level for just over a year now. 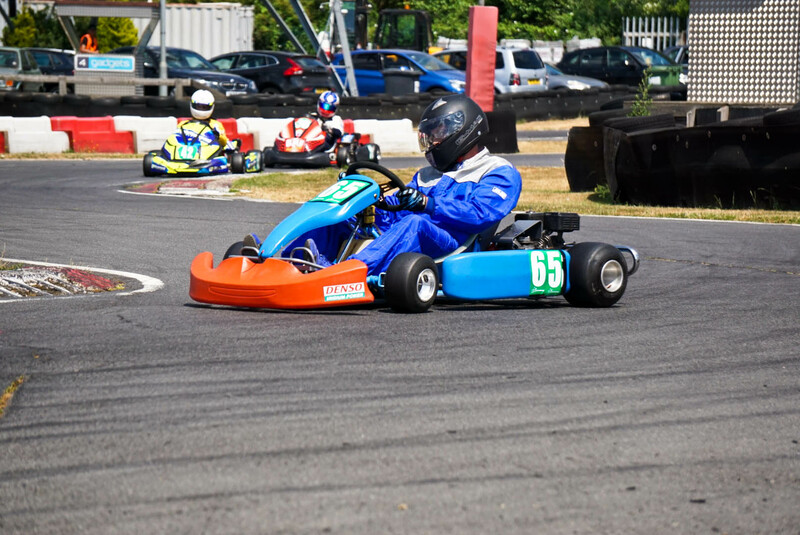 This month we handed the Microphone over to RHPK drivers Wayne Edwards & Alex Armstrong to commentate on the 30-minute qualifying session – a very popular decision in our paddock. Both have had little to no experience commentating before and did a sterling job. With an estimated track temperature of just under 40c, many teams were eager to get out on track. 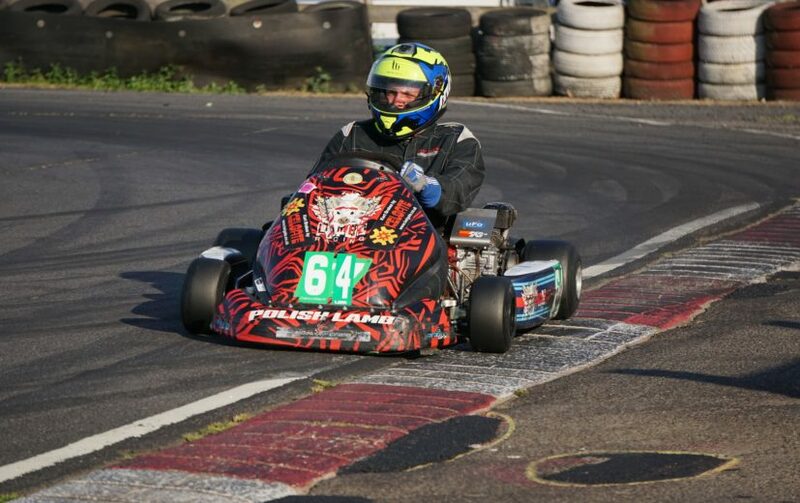 GKD Racing set the pace with a blistering 41.278. An effort which Custom Rods would try to beat but were unable to do so and had to settle for 2nd with a time of 41.305. JND Racing were just behind with a 41.321 – a mighty time for the 2017 Clubman winners. Current Championship leaders, Spectre Racing could only manage 6th place, in front of Helicopter Services in a very unlikely 7th place. 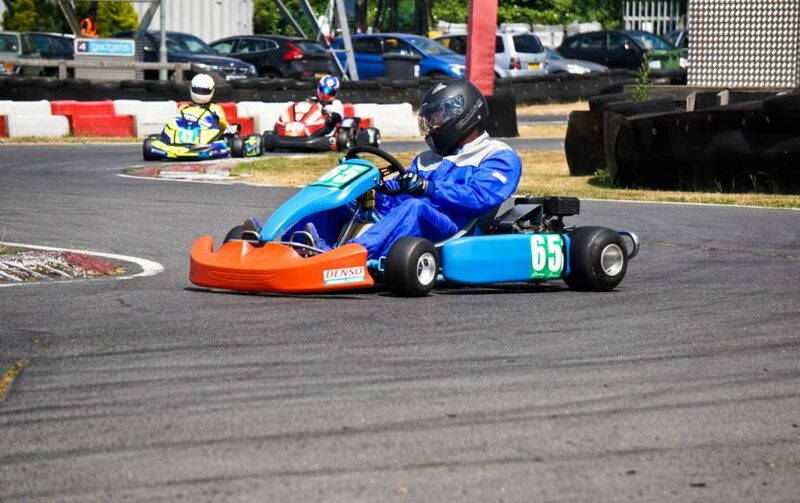 In Clubman the dominating pace went to DAD Racing who managed a Super time of 41.399. Not far behind them was a charging Polish Lambo who just missed out with a time of 41.416. 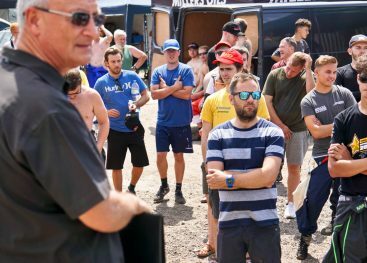 Atifex Racing found themselves in a very strong 3rd in class, 10th overall head hoping that their form would continue on from last month’s maiden victory. 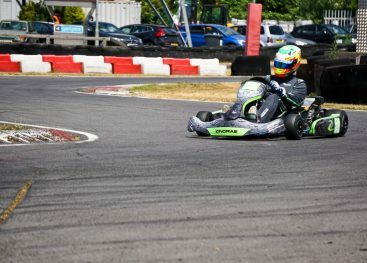 The opening lap was eventful at the front, despite starting in 7th, Ben Cook from Helicopter Services managed to get up to 2nd place on the first lap, Polish Lambo was fighting up at the top in 3rd. 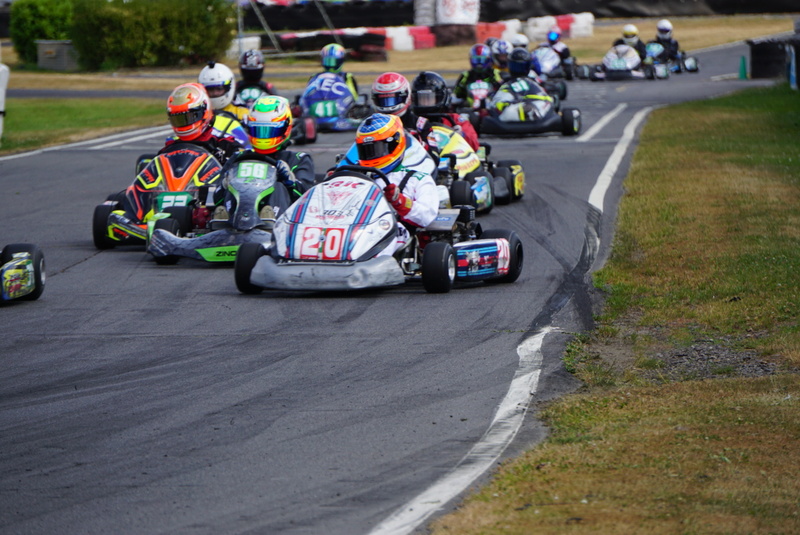 Further back it was very scrappy as karts jostled for position. Into the first hairpin the field bunched up, trying to make an opportune move round the outside, Pelam Racing was squeezed into the barriers resulting in a 5 place drop. The number 63 of Alpha Racing was also got caught up in the melee, ending up facing the wrong way and in last place. Wicks Racing and Zingrae both had excellent starts gaining 5 places, but CSM Lambo had the best opening lap, moving up 6 spots before next crossing the line. D.A.D lost out as the Supers pounced to pick up places and Polish Lambo move up to take the lead in Clubman. Going into the second lap Helicopter Services puts a move down the inside of GKD for the lead and make it stick. 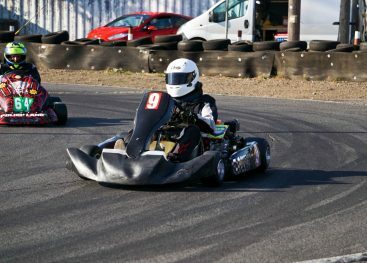 Helicopter Services on brand new tyres which were scrubbed in on the two laps before the green light – a kart to watch. Lap 5 JND Racing take Lambo Racing for 7th place, JND starting to make a move up the field now. Helicopter Services initally pulled out a lead but GKD have been chasing them down for the last couple of laps with Custom Rods. By Lap 17 D.A.D have regained the Clubman lead from Polish Lambo, thanks to some rapid laps, clocking 41.4 & 41.5 seconds they begin to pull a gap. 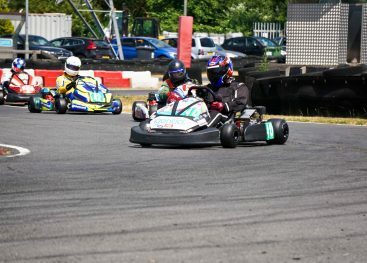 GKD Racing take the lead from Helicopter Services, Custom Rods manage to take Helicopter a couple of laps later. Lap 21 BMH Racing are sitting 3rd in class and 12th overall. Team Eyrie Also who looked strong last month are struggling for pace this month, back in 26th place. After 70 laps, 4 seconds separate the top 4. DAD Racing now coming through the field. Lap 72 Custom Rods and DAD take GKD for the lead as they slip down to 3rd place. DAD take Custom Rods for the lead the next lap and start to pull out a lead. Lap 106 Burton Power Racing are now 4th in class, 8th overall, AEC Racing just behind in 9th. 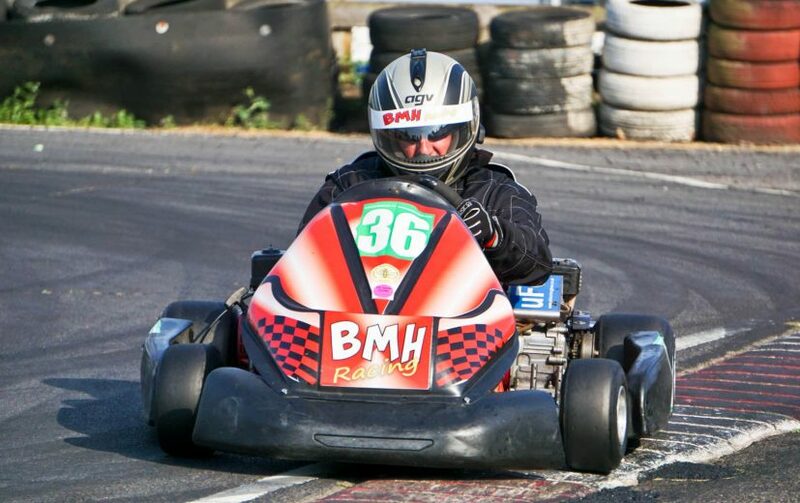 BMH Racing is almost on the top spot of the leaderboard on lap 127 as teams are pitting and their improved pace this round thanks to Alex Sedgwick who are racing for them this month – surely enough for Alex to secure his seat within the team! After the first round of stops, D.A.D still lead and now is in an impressive overall 2nd. Polish Lambo are next with BHM now in 3rd. Artifex is 4th and Zingrae make up the top five. 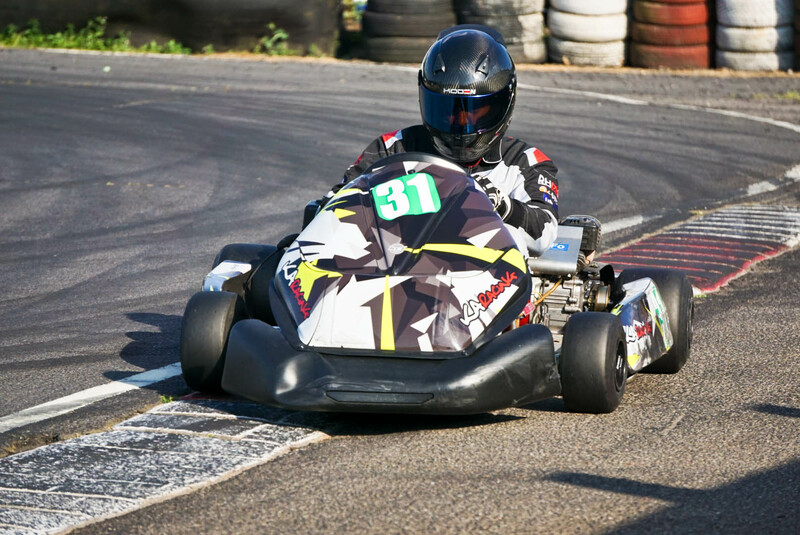 This month the track took a harsh toll the Clubman field, with several teams succumbing to mechanical issues. Universal racing are the first to fall after 27 laps. Artifex are forced to pit, losing a lot of time after shearing seat bolt which caused a throttle cable to get pinched and break. Next to retire are HP Racing, having been up as high as 14th overall their race ends on lap 83, but they would not the last. Following the second round of stops, the top two in Clubman are unchanged with D.A.D leading Polish Lambo. Zingrae Racing are 3rd followed by Burton Powder in 4th and KA Racing now in 5th and 15th overall. Alpha racing and Pelam both fall by the wayside, the later with a cracked chassis ending their race. In Super on lap 271 in the last hour – its a race to the finish, Custom Rods leading by 23 seconds – however both JND Racing & GKD are hunting down Custom Rods. Disaster for JND Racing as their chassis cracks on lap 268 taking them out for the fight for the lead. Now it’s a straight fight for the lead for GKD and Custom Rods. As the day started to draw to an end, the racing heats up again for a climactic conclusion. D.A.D have a comfortable lead, 1st is assured assuming there are no disasters. Polish Lambo are not so lucky and their pace starts to drop, they begin sliding back into the grasps of Zingrae, losing the 2nd spot on lap 315. 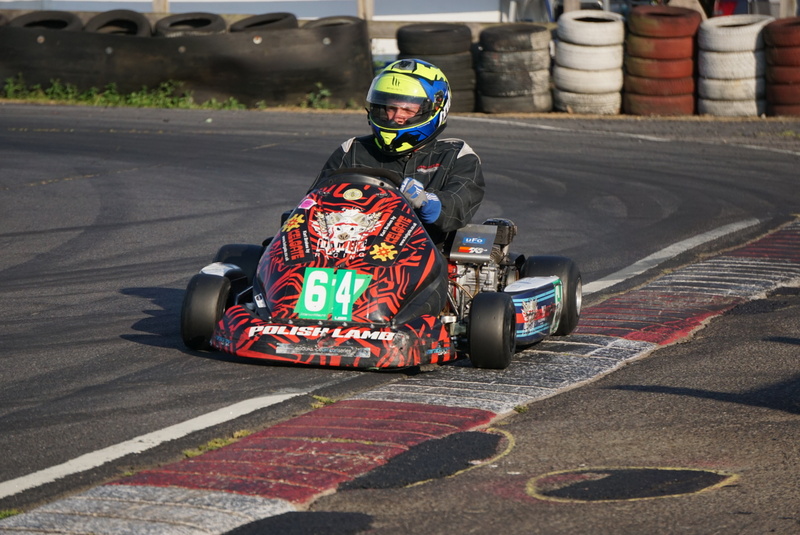 It later transpires that Wayne Edwards is driving a severely wounded kart, the steering wheel was hanging by a thread! Iimpressiveimpress achievement to finish at all, let alone take 5th in class. 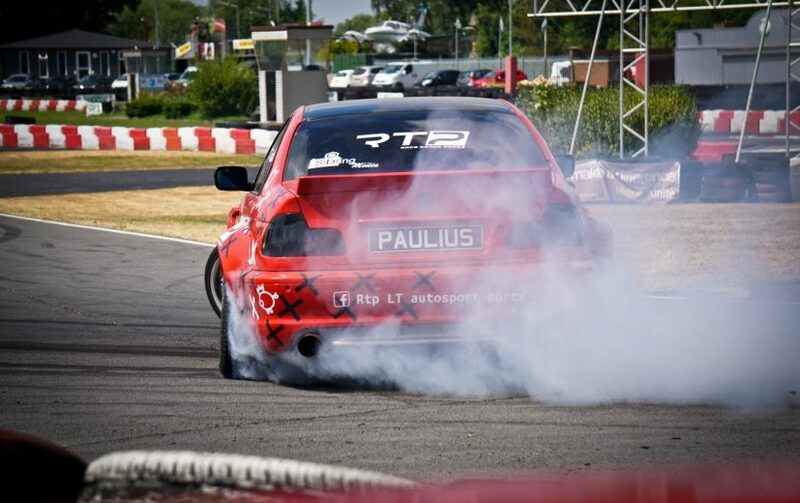 The drama continues, as with only a few minutes remaining it’s now Zingrae that find themselves under attacked from KA racing who are now “sizzling” is the hot conditions. Now in third, some blazing pace sees the gap close by half a second a lap in the final stages. The number 56 & 31 are nose to tail for the last lap, but KA Racing just run out of time before they can complete the pass, and have to settle for 3rd. 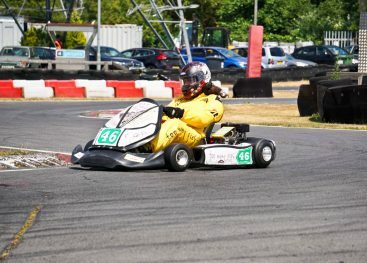 Burton power overtakes the stricken Polish Lambo kart to claim 4th. GKD Racing takes the lead on lap 323 from Custom Rods and secures their first win of 2018! A well-deserved drive from all in the GKD team who have looked like the team to beat all day. Custom Rods secure second place by a comfortable 37 seconds to Helicopter Services in 3rd. Spectre Racing put in another strong round, 4th place and Euro Lambo take their first Super podium as a Super team! Well deserved effort by all of the team in a stunning drive. Darrell who?! A solid round for HRS1 who just finish outside the top 5 in 6th place. 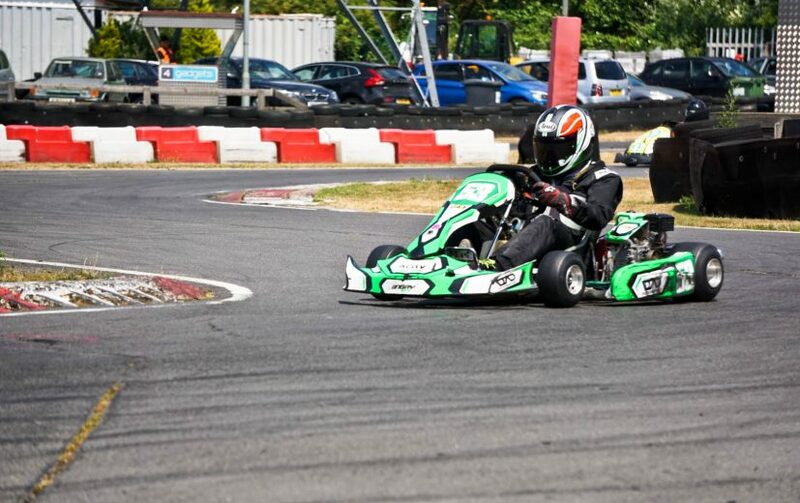 In Clubman, DAD takes a mighty win – some might say a Super win. The RHPK will be in talks shortly… Zingrae Racing manage to hold onto 2nd place whilst being under attack by the mighty KA Racing who take 3rd – a superb chase down to the finish line. 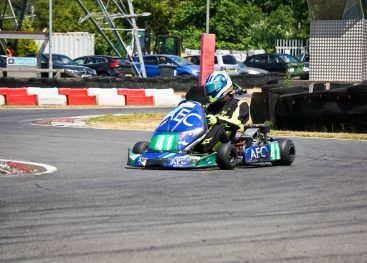 Burton Power Racing take a well deserved 4th – where was this result last month??! Rounding up the top 5 is Polish Lambo, an incredible drive from Wayne Edwards who takes our Clubman team of the day. Just missing out on a podium is Monkey Motorsport who looked strong all day, they finished 6th in class, a very respectable 14th overall.